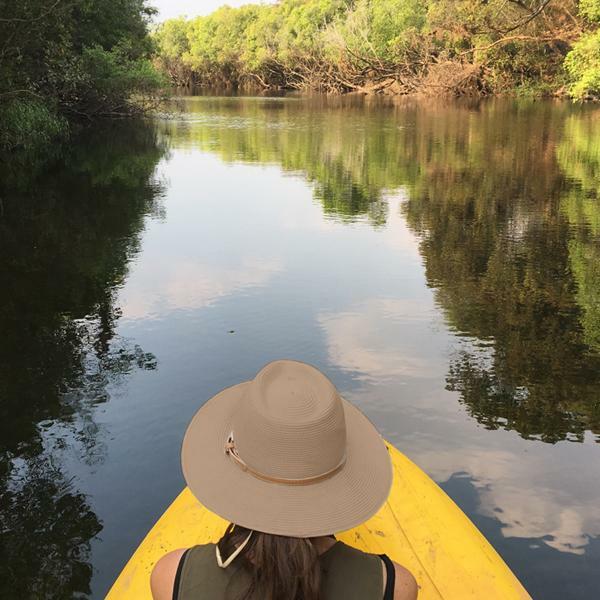 Feeling inspired to go on your own iPhone-only safari? Here are the things to do and consider and the gear to take to ensure you get the most out of your phone to go mobile in every sense. Gone are the days of bulky, equipment-intensive travel. These days, almost everything you need to travel can be planned, booked, and administered using your mobile. 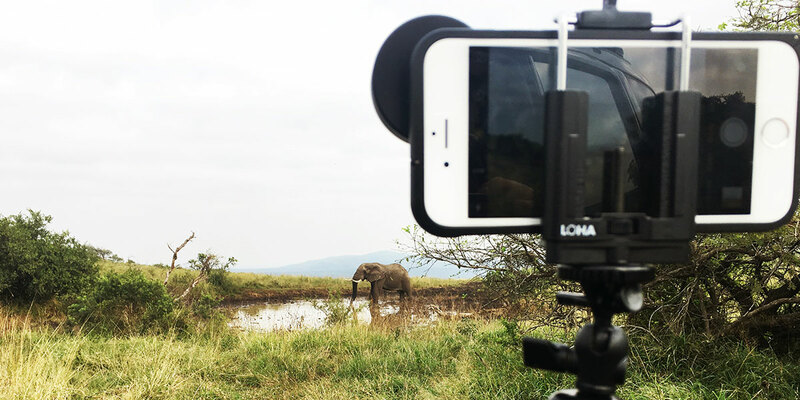 If you're wondering what went into making our iPhone-only safari a success, the answer is simple: an iPhone, some apps, some gear, clothing, and luggage from The Safari Store, and some incredible destinations, of course. Swapping out the usual suitcase checklist for a drastically minimalist approach to travel doesn't come without its worries. From pre-travel considerations and the pros and cons of taking a DIY approach to holiday bookings to apps and gear that are useful and fun to use, here is a bit of fine print for planning your own iPhone-only safari. 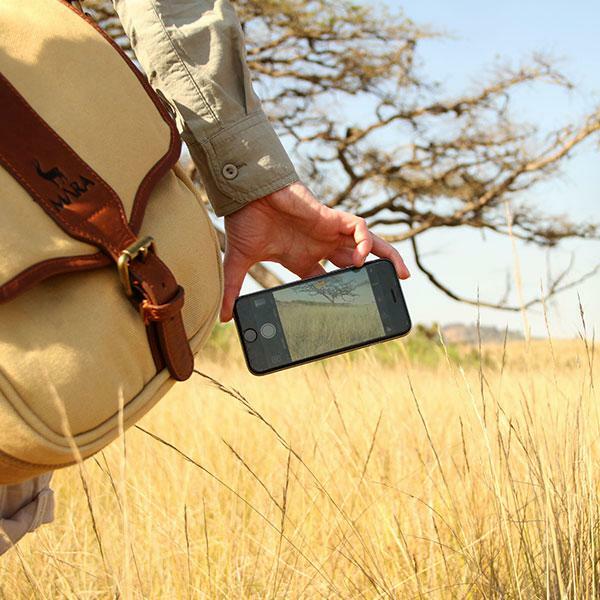 Thinking of going on an iPhone-only safari? 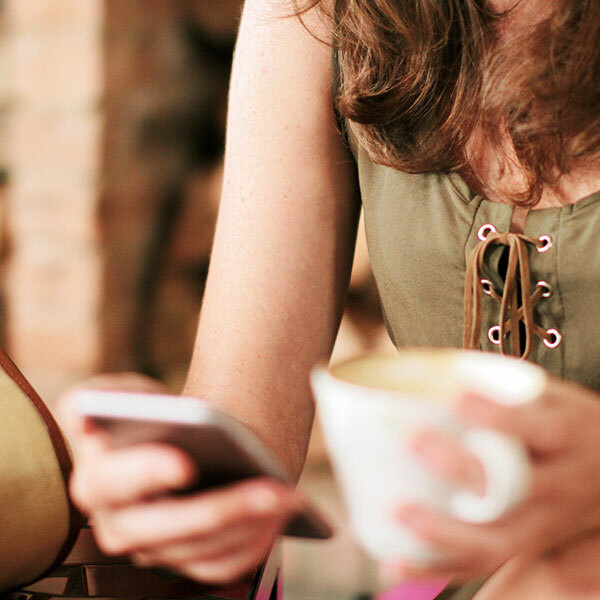 Here are the things you can do before you leave to make sure you get the most out of your phone. I've got the power. Making sure you've got enough battery life is going to be one of the greatest challenges you will face on an iPhone-only safari. A power bank is probably a worthy investment, but taking every opportunity to charge your phone is going to be key in making sure you don’t miss out on a classic picture or that all-important Facebook update. If there is a bit of road-tripping on the agenda, charge your phone while you drive with a car charger. If you are going somewhere without electricity or with an interrupted electricity supply, you might consider some of the quite portable solar chargers on the market. On top of that, you can assist battery life by turning off wi-fi, location services, and any unnecessary background apps to conserve battery life as much as possible. Make space for what's important. Especially if you have one of the smaller space models or if your phone is filled to the hilt with apps, pictures, videos, and music, you may elect to delete or save any unnecessary items on your phone to another device or save it to iCloud before you leave. If you do not have a steady supply of wi-fi, syncing your images and videos to iCloud might become a problem, in which case taking along a device on which to transfer as you go is unavoidable. want to be caught unaware. If you're not going to use roaming, be sure to turn off your mobile data on your phone to avoid incurring costs. Check the availability of wi-fi at your hotel or lodge and connect to wi-fi to sync with iCloud, check e-mails, and for any browsing. A wi-fi locator app will help you to find pockets of wi-fi at the airport or in restaurants for those who want to find them. Adapt or die. Okay, maybe it's not as severe as all that. 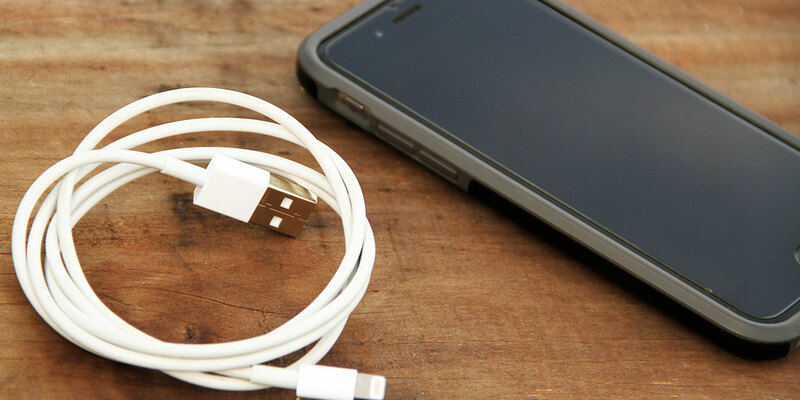 Find out whether you need an adaptor (or multiple adaptors) for your phone charger before you leave. You don't want to find yourself pushing a square peg into a round hole. Download the apps. From planning to packing and exploring to sharing, have a look at some of my recommended apps for each section and get them on your phone before you go. Get the gear. Try and assess whether your standard phone will be enough for everything you would like to use it for on an iPhone-only safari. Will the camera be good enough for your game drives? How far do you want to take your iPhone photography? If you feel it is worth investing in extra gear like zooms, tripods, or my favourite Swarovski adaptor for iPhone, order this well in advance and, if possible, test it and learn to use it before your trip. Arguably one of the greatest luxuries in using a tour operator is knowing that, behind the scenes, everything has been handled for your booking. To "book now" or not to "book now": entering a porthole to the world or getting someone to do it for you. For many of us, cost is the first thing that comes to mind when thinking of going to a tour operator. Why pay someone to do something you could just as easily do yourself? With the internet geared towards a mobile age, you don't even have to be sitting at your computer to plan and book a holiday. In investigating mobile and online bookings myself for this article, these are some of the considerations that came to the fore in deciding whether to go at it alone or place my fate in the hands of the professionals. COST: The ever-burning question. Well, yes, tour operators receive a fee off the back of your booking and for their work and expertise but, due to the nature of the relationship set up between the tour operators and the lodge, you should not pay more than if you booked directly. There is also nothing stopping you doing your own research into their suggestions and looking into cost. My only advice here would be that you take cognisance of what is included in the tour operator's package versus those marked "best deal" in an app or on a website and compare like for like. What meals and activities are included? Does the car rental price include insurance, kilometres, contract fee, and no excess? Essentially, any extra cost (and often they are able to arrange a lower price) should be assessed in keeping with the value covered in some of the factors below. research into your selected destination, lodge, and available flights are but a few bumps of the thumb away from a wealth of reviews, suggestions, deals, and information. If you are looking to be thorough in your comparisons, you may find yourself flitting between a host of the "top" apps and a cacophony of often varied online opinion, especially if you have multiple stops planned for one trip. Many people I know have firm favourite booking sites and they use them religiously. It's just a matter of finding your preference. For those less inclined to put in the effort, a tour operator is there to help and this too can be done entirely online with most companies through e-mail. Finding the right tour operator means you partner with someone who has taken the time to get to know you and will recommend lodges and destinations based on your personal preferences. They have usually been to the places you wish to visit and so are able to piece together the trip through their local partners much faster than you would be able to. In this sense, it is almost like Googling your symptoms versus going to the doctor. An online community may bring you to one diagnosis, while your doctor can very quickly hone down your condition and what should be done from the interaction and personal assessment. EXPERIENCE: The vast online community of travel reviewers increases every day and this undeniably adds value to online booking sites. If you are anything like me, you will look at the five-star reviews of a place, but that two-star review wedges itself in your mind. "Will I be one of a handful of people who have the bad experience?" In many cases, I think these reviews are off the back of a clash of expectation and reality, but it is a subtle reminder that you never really know. Many tour operators have regional specialists who become a singular voice in recommending the destinations in their packages. Their interaction with you is a process of getting to know what you want and your budget and tailoring an itinerary to make that a reality. From first-hand experience, they offer insider tips on the best times to travel to a certain area, the best modes of transport, best guides, things to avoid and look out for, what to take, and those not-to-be-missed elements. They can also enrich your trip by suggesting some not so obvious activities you might have overlooked by doing online research. By virtue of their position, they are able to negotiate with suppliers (airlines, lodges, car rental agencies), tourism boards, and government authorities to create and streamline their packages. PEACE OF MIND: Arguably one of the greatest luxuries in using a tour operator is knowing that, behind the scenes, everything has been handled for your booking. Where you have made the booking yourself, what if things go wrong while you're travelling? What if there is a hiccup with your booking? You could, in some cases quite literally, find yourself out in the wilderness where, if something goes wrong early in the trip (like a delayed flight or an unreliable transfer), the entire chain of events is upset resulting in the expense of lost bookings and so on. If you are, say, visiting Africa for the first time, on honeymoon, or celebrating your anniversary in the land of the exotic, a sense of humour failure when there is a glitch is probably inevitable. There is also the question of the potential for danger in more extreme and remote locations. On big occasions such as these, dialling a number for support and having the situation rectified could be priceless and, for those with their minds set on smooth sailing, a necessity. If you are the kind of traveller who likes structure and certainty, you will appreciate that any problems you encounter along the way are the responsibility of your tour operator to resolve on your behalf. Over and above that, making an online booking may also involve a degree of research into how to best prepare for your trip. Will you need a visa? Are there certain vaccination requirements for entry into a certain country? Will you be staying in a malaria area? Will your rental car make it over the bridge to the lodge in the rainy season? What insurance should I take out? These minutiae are usually covered by your tour operator in detail before your departure in one neat little package. If you are booking online, the only downside to Googling is not having an alert that there's something you've overlooked until it's too late. It's up to you the value you place on the time it would take to find hotels, evaluate them, compare, decide, and book. This will obviously vary depending on the complexity of the journey you have in mind. A tour operator has usually vetted their hotel choices, approved them, and compared them with other options and offer pre-booked excursions and a detailed itinerary before departure. They are also on hand to provide advice and reassurance and can give you an idea of which areas to visit and for how long. If you are more inclined to go through this process and determine this for yourself, there are a number of apps and sites available to help you do this. FLEXIBILITY:Many tour operators tailor-make your packages to meet your requirements and create bespoke packages based on your requests. The flexibility I'm talking about here depends on the kind of traveller you are. On the face of it and in many cases, online booking has the potential to offer slightly more flexibility in the sense that, if you find yourself falling in love with your first stop, you're at liberty to adjust your itinerary as you go. That said, whether you have made an online booking before departure or come up with your itinerary through your tour operator, the financial and logistical effect would be the same. If you throw caution to the wind and book while you're on the road, you probably stand to benefit from last-minute booking rates but, be warned, many internet deals are non-refundable or have strict cancellation policies or, if you are travelling during a busy period, you run the risk of not finding accommodation along the way. Whether you opt to use a tour operator or go the route of online booking on your computer or mobile depends entirely on your personality. There are certainly those among us who have perfected online booking with never-fail apps they revert to first when planning a holiday. In conjunction with itinerary apps and a bit of online research, planning and booking your trip and preparation for travel are easier than ever before. I can't help but think, however, that there is the threat of trial and error in finding that ever-trusted app. Call me old-fashioned but I don't feel a rush of assurance in pressing "book now" although I can't dispute the convenience of it. On smaller trips, it is unquestionably the way I would book. Sometimes things going wrong (or the risk of things going wrong) are things going right. For those bigger trips, the ones designed in my mind to be relaxation unhindered by an instant of worry, I would err on the side caution. As a general rule, my advice would be that the more remote the destination or the more unknowns attached to your trip, the more you stand to benefit from the peace of mind that comes with knowing the logistics are in the hands of professionals you have hired to ensure seamlessness, security, and the overall success of your trip. Perhaps I am a worrier or simply easily won over by the beautifully photographed packages on tour operators' websites but, for me, it boils down to interaction. Discussion with a person as invested in the success of my holiday as I am, who will iron out the details with me and who will be truly interested in how it went at the end, would likely be my preference. That's not to say I wouldn't head straight to online sites to see what the rest of the world thinks about my choice in destination. That's the beauty with the online world - the ability to do anything you like, but with the freedom to choose how far you want to take it. 1. Be alert to the fact that some websites use multiple currencies when advertising their deals. Look for this the whole way through the booking process. 2. Beware of hotels or tour operators with similar names. 3. Check and double check that bookings have been made for the correct cities. A slip of the finger or a moment of confusion could mean you are in East London, South Africa, but your rental car is waiting for you in East London, United Kingdom. 4.As mentioned above, many deals on the internet are non-refundable. This is worth checking before making the booking, especially if you anticipate your plans will be subject to change. Take a little extra time to make sure you have entered the right dates, number of guests and rooms to ensure your click of confirmation doesn't end up being a costly mistake. 5. When doing a price comparison between one deal and another, make sure you have all the facts and that you compare like to like. Most notably, take note of what suite you are in, what meals and activities are included in the price, and whether the car rental price includes insurance (for you and a second driver if necessary, as well as whether this includes excess), all kilometres, and the contract fee. 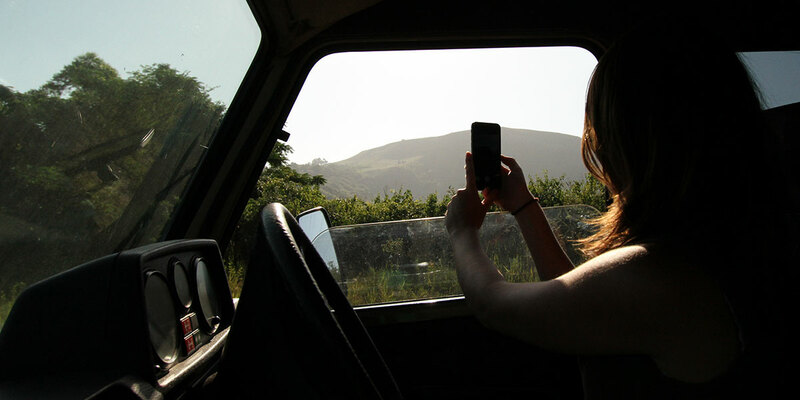 For those travellers who like to take a range of holiday snaps as a record of their adventures, the suggestion of swapping out your camera and gear for an iPhone may seem a bit of a tall order. Although the camera on your iPhone has the potential to take wonderful pictures, there are obvious limitations in terms of what it is capable of. As we found out on our game drives, using the standard iPhone camera required us to be quite close to wildlife - something that is not always possible or desirable. I hunted the internet for gadgets to help my iPhone camera along and to pre-empt any disappointment at not being able to capture the moment the way I would like. There are thousands of attachable zoom lenses, tripods, and gear you can buy for the purposes of iPhone photography and videography. It is simply a matter of determining what you need. The gear I took along for my iPhone on our iPhone safari was limited to a few key items. In having used them a number of times during the trip, here are my reviews and tips for these handy accessories. Ask anybody in the safari business about what to take on safari and the answer will inevitably rank a good pair of binoculars somewhere at the top of the list. When it comes to great binoculars, you will be hard-pushed to find better than the Swarovski EL 10x42 for clarity, even during early morning or dusk game drives. aluminium frame to your iPhone, you are then able to simply screw on the adapter ring which goes over the camera of your phone. It is then a matter of sliding the adapter ring on to the eyepiece of your binoculars and your screen captures the view through your binoculars, allowing you to take pictures and video or simply watch animals or birds. For people with poor eyesight or guides, imagination abounds with how revolutionary this bit of gear can be! Now is the point where I have to make a rather embarrassing admission. I didn't experiment with this enough before we left. If you are looking to take truly impressive pictures using the Swarovski adapter, my advice would be to go out and play with it until your pictures take on the clarity you like. The gear has the capability to take astounding photographs (as I found out later). 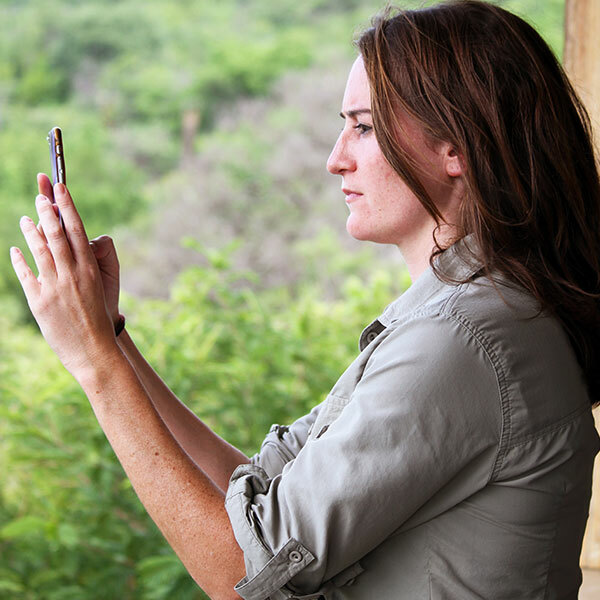 Becoming au fait with the best way to attach the adapter and what view to expect on your screen beforehand is the best way to assure ease of photography off the back of a game drive vehicle or when birdwatching from a hide or out on a trail. My primary mistake on our game drives was to zoom away the quality in order to get rid of the slight black edges caused by the eyepiece. With zoom comes a huge loss of quality. On a separate safari some time later, I managed to resolve this and was blown away by the difference. My advice off the back of this experience is this: play with attaching the adapter ring to the eyepiece until you feel confident you know how to minimise the black edges. With practise, these will be very slight and simply cropped from the image using even the standard photo editor on your phone. I can't describe the thrill I got at getting some of these shots. From vultures in a riverbed far in the distance to a close-up of wrinkled, mud-caked skin of a rhino in the middle distance, the detail is exquisite. These are the kinds of photos I want to take home at the end of a safari! You may well find that there are some shots you will need to take using your standard camera. The beauty of this adapter is that it is as simple as sliding your phone on and off the eyepiece of your ELs - relatively little hassle in those heart-thumping moments when you make a sighting in the bush. Another challenge you may encounter with the PA adapter is having a steady enough hand - especially for video! Swarovski offers a solution to this with the UTA universal tripod adapter. This handy, hardy band wraps around your binoculars, securing them for use on a tripod. I opted for the Manfrotto monopod and this was perfect for my purposes. It was compact, allowing me to pull it out and open it up easily on the back of a game drive vehicle. The foot of the Swarovski tripod adapter simply screwed on and I was good to go. Being a monopod, it could be partially extended to be handheld and it took up just a tiny space at my feet when opened up, but gave me that added invaluable bit of stability. When we stopped for drinks and I wanted to take a picture of some buffalo at a nearby watering hole, I unclipped it to the perfect height for standing. It is a great piece of gear and it is definitely worth considering if you are going to use the Swarovski PA adapter. My final piece of gear is the LOHA tripod and mount. At first glance, it is easy to underestimate it, but it's a pretty impressive little tripod. It's a miniature tripod and was a great complement to the Manfrotto monopod as something you could set up and walk away from to do other things. The phone holder is strong and holds the iPhone securely in place, which is a great feature if you are considering wrapping the bendable legs around a tree branch or balcony for a time lapse. I did just that at Thanda on a very windy day and, thankfully, it lived up to the task and gave me a surprisingly steady video at the end. Using the standard iPhone camera required us to be quite close to wildlife - something that is not always possible. iUsed: There's an app for that! App, app, and away - so they say in the modern age of technology. For almost every task you can imagine, there is probably an app that covers it these days. When it came to planning, packing, exploring, and sharing on our iPhone-only safari, these are the apps that came in handy. Need a little inspiration? Spending time looking at travel pages on Pinterest and Instagram is a great way to while away the day in a smattering of pretty pictures from around the world. Most of the leading travel magazines also have apps and reading some articles might whet the appetite for one place over another. Many of the booking apps offer a little destination inspiration section, so let these apps guide you with what packages are available. Decided to go through a tour operator? Their websites are usually a haven on travel ideas and packages accessible via mobile. E-mail them for more information if you don't find exactly what you want or for more information. Once you've settle on where you want to go, see what an online community of travellers have to say by checking reviews. This is where apps like TripAdvisor and booking.com come in handy and are my first choice for being globally comprehensive. Kayak, and booking.com. Some of these even do a price comparison with other leading sites like hotels.com and Expedia (to name but a few) so that you don't have to. Double checking flight prices using an app like Opodo can be worth your while if you are set on getting the best possible deal. Ultimately, comparing the deals from one site to another can be as simple or involved as you make it. Ready, steady, jet set! If you are flying with a major airline, the chances are it has an app. 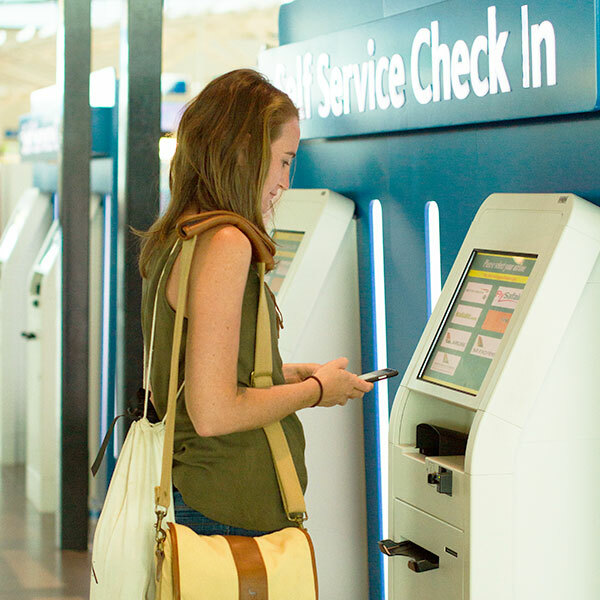 These have a number of features to simplify check-in and find out more about your flight. On top of this, apps like GateGuru, App in the Air, TripIt, and TripCase are designed to streamline flying. If you are going to get an Uber to the airport, factor this in during the planning stages so the app is at the ready when you leave. If you want a packing checklist, there are a number of packing apps available with ranging functionality depending on the nature of your trip. At their most basic level, create a checklist of items you are going to take with you. I opted for TripList for the simplicity of it. Together with The Safari Store's packing list, it gave me a good idea of what was in my suitcase and I found the categories covering clothing, documents, electronics, toiletries, and outdoor items perfectly sufficient for my purposes. I tried out PackPoint too, just to compare the two. What I like about PackPoint is the ability to sync your packing list with Evernote. Being a bit of a serial list-maker, I love the functionality of Evernote in general and putting it to use in the packing process was just another way for me to use one of my favourite apps for travel. Take pictures of the contents of your suitcase and travel documents, set reminders, make audio notes, and attach pictures from iCloud to make the most of the app. Pack the apps. Rather than download apps as you go, escape the hassle of searching for pockets of wifi and make sure all of your apps are downloaded before departure. Are you going to use an Uber at some stage? Want to Skype family and friends from your phone while you are away? Want quick access to guidebooks, audio books, and maps for your travels? Make sure these apps are set up and ready to go before departure. Nothing beats a map. We used Google Maps as our navigational app of choice. For those road trippers who don't own a GPS, there isn't a marked difference in functionality between Google Maps and apps like Tom Tom. My advice would be to bolster route information with people's experiences on online forums or through your tour operator. For travel and between activities, I downloaded a few podcasts through the standard podcasts app on my iPhone. Prefer an audiobook? Audible can be linked to your Amazon account and they have a vast collection of audiobooks and a number of categories to choose from. Similarly, I created a playlist of music using Apple Music, but Spotify is a popular choice of music app for its offline access and comprehensive selection of your favourite tracks. Beat the bulk of guidebooks and download the apps. There are apps covering almost anything you want and this is the ideal way to free up valuable suitcase space. The Sasol eBirds of Southern Africa app is perfect for birders in the area and is a fun way to keep a record of your sightings. Even for non-birders, it is another way to engage with the birds you see along the way and increase your knowledge base. There is also the Sasol Mammals for Beginners app which gives you audio clips, video clips, and fun facts about the checklist of animals you see along the way. If you are interested in trees, eTrees of Southern Africa is a great way to identify the different kinds of trees on the roadside or in the reserve. If you are anything like me, you are probably very jealous of the secret language of trackers. I love the iTrack app for this. It is a really fun exercise to try and work out animals from their tracks and, with the pictures and descriptions on this app, a great way to learn. See the stars like never before. I downloaded the Sky Walk Star Constellations app and, in a few quiet moments around the fire, managed to find out what was all around me in the sky at night. When the view is that clear, it's a completely different way to look at the night view. Record your adventure. Together with my Suunto watch, I tracked my game drives, walks, and tours using the Movescount app. It plots your course on a map and allows you to save pictures from your experience all in one place. It also gives you the option of making a Suunto movie from your images and path at the end which you can share with friends. What makes this a great app is that it doesn't require an internet connection to work. I had done some research before leaving and had been very keen to use the LiveTrekker app for a similar purpose. What had excited me about this was the multi-media function - you can record audio, video, photos, and text to save to a map to create a travel diary. You can also share this later. My hopes were dashed when I found the app didn't work without an internet connection, so it is perhaps better suited to travel in more urban spaces, although I hope the developers will rectify this in the future. From those in the know. Off the back of Christian Sperka's recommendations at Thanda, I used the Camera+ app for any picture editing later on to give extra crispness to some of my shots. His other recommended apps he uses for wildlife photography on his iPhone are Warmlight for the best focus and exposure, Photo Cleaner to clear space in your albums as you go, Sort my Photos to give order to your snaps, Sun Seeker for those on a quest for the perfect light, Photo Transfer to transfer pictures and video between iOS/Android/Windows devices, VideoShop as a video editor, and VideoMute to delete the sound from videos. Save time, save money. When it comes to converting currency, XE Currency is the perfect travel app for doing just that. Minimise the amount of maths you have to do on the road and have all the figures literally at your fingertips. Speaking of time, the iPhone comes standard with a world clock so you can be aware of the time back home before making that call to family and friends. Message in an instant. Whether you send a standard text, iMessage, or prefer e-mail and apps like Whatsapp and Skype, you have everything at your fingertips to send words, pictures, and video to your family and friends at home. Not quite penning a letter by quill now, is it? Go social. The number of social media platforms seems to grow with the internet. Facebook, Twitter, YouTube, and Instagram are household names these days but there are scores and scores of social apps. If you decide to use the Movescount or LiveTrekker apps, both give you the ability to share from the apps themselves, almost blurring the lines between exploring and sharing. Review. Uploading reviews to pages like TripAdvisor is another great way to share your experience to an online community of travellers, tip the hat to the lodges and hotels you have stayed at, and increase the value of these travel apps. Tell your safari story. If you find yourself outdoors - whether it's a weekend fishing trip, hiking trip, bird-watching expedition, or safari - The Safari Store wants to hear about it. As part of their dedication to providing gear for you to best experience your adventures, your stories are important to them. E-mail your pictures and stories to safarilife@thesafaristore.com or connect on Facebook (www.facebook.com/TheSafariStore) , Twitter (@TheSafariStore), and Instagram (thesafaristore). African travel demands a very special kind of bag. 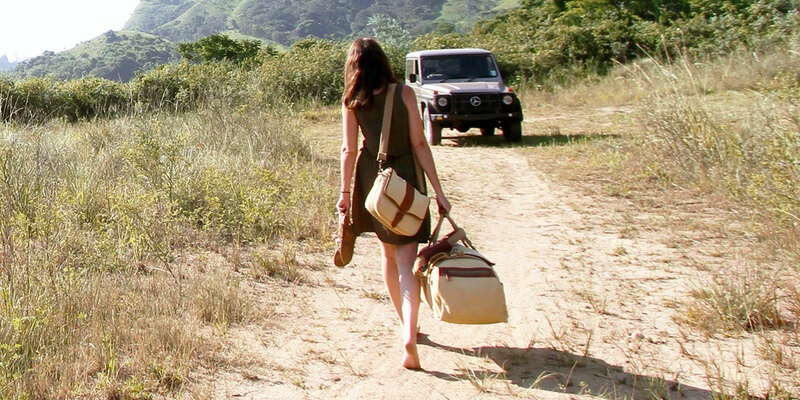 The Mara&Meru™ Safari Voyager has won me over for a number of reasons, but the sheer inventiveness of the design is at the forefront of my love of this bag. Where to begin? Put in front of me for the first time, I underestimated just how versatile it could be. Once I started packing and exploring its features, however, I was amazed at how useful it is going to be for travel and back home. Each side pocket can be zipped off to be used as stand-alone smaller bags which can be worn as satchels or backpacks. Packing the odds and ends you would need for a day trip into these side pockets means your luggage is together for the purposes of travelling and removes the necessity of taking other smaller bags for when you are out and about. I love getting more than I bargained for and three bags in one certainly lives up to that! If you want to take building your own bag to the next level, there are other attachments available to zip on in place of the standard side pockets that can also be used as bigger stand-alone bags, making it a bag that is really adaptable to your needs. The other thing I loved about the Safari Voyager is that it is soft, but strong. I am hard on my luggage - especially in Africa where I am prone to toss my bag into 4x4s in wild abandon. Any traveller knows the value of a duffel bag but to have one that has the benefits of a duffel bag that looks high end too is a great perk in travelling smart and stylish. I am the kind of person who wants to eye out my luggage in the airport and feel proud and there's something about this heady mix of safari canvas and leather that breathes adventure in a sultry whisper. Never has a bag been more at home in the contrasting landscapes of Africa than this beautiful bag. Knowing I can take that sense of wild luxury home to use as a weekend bag or as a handbag alternative in the case of the side pockets stirs me. Who doesn't love a bit of safari style? It gives life to the wild adventurer even when surrounded by high-rises and concrete. The Mara&Meru™ Selous Satchel is a natural extension of that and, free from bias or hesitation, this is my all-time favourite bag! If I had a penny for every time someone stopped me to comment on it, I would buy every one of the interchangeable front flaps I could lay my hands on! Also in gorgeous canvas and leather, it can't help but stand out as something exceptional. The ammunition compartments, which I initially didn't think too much about, elevate this bag into realms of adventure imagination can hardly contain. It is the courage inherent in every explorer. It is every adventure story you have ever heard. It is deepest darkest Africa - a wild, thick mess of bush; curiosity in the eyes of wildlife; firelight on white canvas as stories are told to the night to be lived again tomorrow. I love how it makes my imagination run riot. To me, it is a storyteller's bag that was built for adventure. I used it as a handbag. I wore it as a backpack. I used it when we went walking at Fugitives' Drift. I put my binos in it for game drives at Thanda. I took it to dinner every night. Andrew Rattray loved it and wanted to one to use as a fishing bag. I probably would have let him if I could even have allowed myself to consider parting with it (no, not an option). 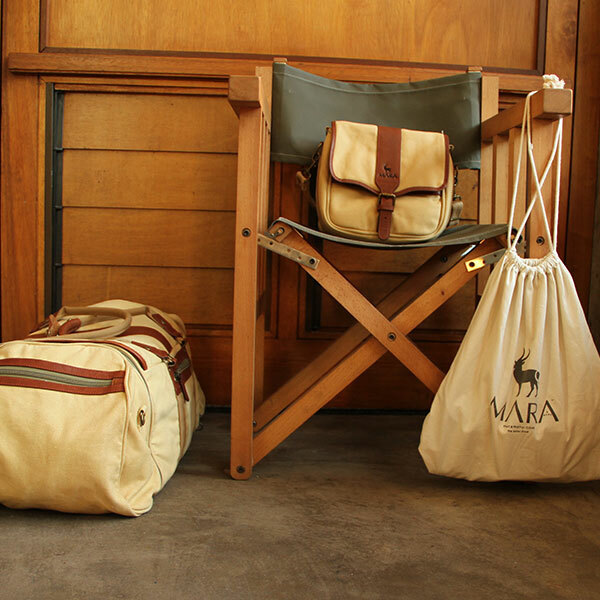 My last bag was the Mara&Meru™ drawstring bag. If you buy a bag from the Mara&Meru™ luggage range, rather than get a bag swaddled in plastic, you get it in this handy little bag. You can use it as a compact travel laundry bag or, as I did, use it as a backpack. I put all my iPhone photography gadgets into this bag and it ended up coming with me on every game drive and for little walks along the way. As someone who feels quite strongly about the impact of plastic on the environment, it felt like a small victory every time I used that bag - not the kind of thing you throw into the back of the cupboard and forget. Prone to roaming the countryside at every opportunity, I like outdoor gear that looks good. Clothes that have got you covered. Women's Mara&Meru™ BUGTech™ Everything Shirt in Safari Willow: This is a shirt built for the outdoors and, in the simplest terms, I love wearing it. It got quite hot on some of the days of our trip and I was comfortable even when I went for walks. I used SafariSun or the RID sunscreen and insect repellent cream whenever I was outdoors, but the added peace of mind of the built-in insect repellent and SPF of the fabric were a big plus - especially when we found ourselves swarmed with midges on a couple of our game drives. I have worn this shirt many, many times since - at the beach, hiking, paddling, and over jeans because I love the colour, fit, and style of it as a button-up shirt. Mara&Meru™ All Day Casual Safari Dress: If I open my wardrobe, the clothes on the shelves are a reflection of my lifestyle in every way. Prone to roaming the countryside at every opportunity, I like outdoor gear that looks good. Maybe I am a crossover girl, but I also have an inherent love of fashion. I love beautiful fabrics. I love little details and textures. I love design. This safari dress immediately caught my eye because safari forest green - as it is called by The Safari Store - is one of my favourite colours. I love the drape of this dress, which is elasticated at the waist to give it shape. I felt feminine and pretty and comfortable in it. What more could a girl want? In the words of Diane von Furstenberg, "If you want to feel like a woman, wear a dress." Mara&Meru™ Laced Safari Tank: This summer top takes the lace-up detail of the safari dress and puts it in a top. I am a big fan of safari detail when it comes to style and this tank top (and the dress) are a contemporary spin on that. My favourite thing about this top is that I could wear it on a game drive, around the lodge, at the pool, at the airport, and at home. It is the kind of top you can wear anywhere - a lady's closet must-have! Mara&Meru™ All Day Casual Safari Shirt: This is my favourite shirt from the range. It may have something to do with the safari forest green, but it has everything to do with the style of the shirt. It's amazing how the right long-sleeved shirt affects attitude and something about this shirt matches mine. I have worn it countless times outdoors - untucked, wild hair, sleeves rolled up and held in place with the tabs. As time goes by, though, it is well-worn loosely tucked into jeans. The half button-up collared style makes it a shirt I can wear to a meeting or for a quick cup of coffee with friends. I may get two or three more of them. 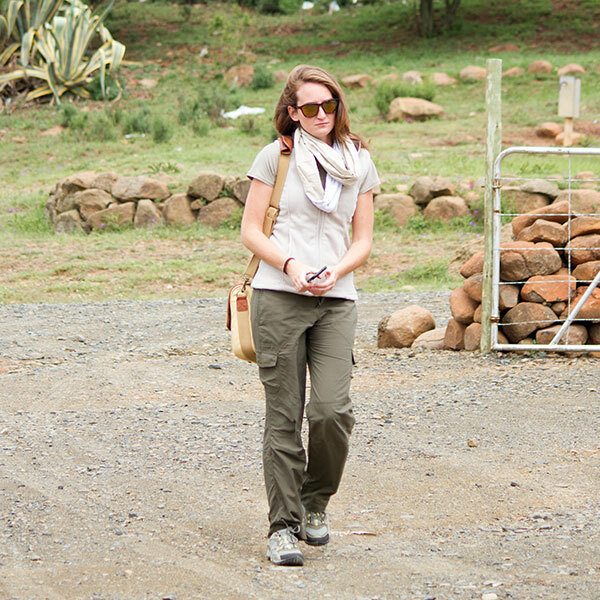 Mara&Meru™ Safari Snood: A snood is a great accessory to an outfit. There is a certain appeal to an accentuated neckline I believe to be very stylish. The Safari Snood is cotton which means it looks gorgeous without being weighty and hot - great for going on safari or when you are dressing up on warmer days. I have one in every colour and I am very fond of the soft colour combinations. They look good with almost all my outfits and have the ability to elevate a simple T-shirt into an outfit with an edge of glamour. Mara&Meru™ Birdseye Safari Shorts: These shorts were such a pleasant surprise. Having looked at them critically as shorts in a style I would not normally wear at first, I immediately changed my mind by wearing them. These are hands down the most comfortable shorts I have ever worn. I wear them on outings. I wear them at home on most days. If it sounds hyperbolic, I could tell stories of how Tania, the photographer, and I nearly squabbled over who would have access to the spare pair and often walked around looking like twins in our shorts. Mara&Meru™ Scoop-Neck Safari Tee: I think it's easy to forget that a simple tee can look incredibly good. Sometimes simplicity can be very classical and this is certainly the case here. On days it felt too simple, it provided a blank canvas for me to play with and, paired with a snood or under a gilet, I was very happy with the look and was comfortable during long days of busy adventure. Laini Kikoy: During the iPhone-only safari, I wondered when I would possibly use a kikoy. Oh, if only I had known then what I know now. The wonders of the kikoy extend far beyond a day at the beach. Swathed in fabric, it makes a fabulous scarf and wearing it as a sarong around the lodge or house is wonderfully liberating, cool, and comfortable. Having recently researched ways to tie a kikoy into different tops, dresses, and skirts, there really is no end to its versatility! Women's Rufiji™ MaraTech™ Cargo Safari Trousers: As a personal aside, I have never really been a fan of cargo trousers and so have actively avoided them for years. That said, the first thing that struck me about these Cargo Safari Trousers is how light they are. There is enormous value in a pair of long trousers for hiking, walking safaris, and in general in the outdoors. I consider myself converted for how you are unimpeded when you are being active in these trousers. I climbed three-quarters of the way up Isandlwana in them and they were cool and comfortable the whole way. The built-in SPF and ability to roll them up and secure them as shorts with a button are also great features! Women's Rufiji™ Essential Long-Sleeved Safari Fleece and Rufiji™ Gilet Safari Fleece: I'm lumping the warm stuff together, but who's counting, right? Our iPhone-only safari happened during December, which is the height of summer in South Africa - not to say that there was no need for something warm pre-dawn and after dark. There were also some pretty chilly afternoons when I was happy to have an extra layer or two. The gilet is a great item for when you are in between and I wear mine often. It looks fantastic under a jacket for an added layer of warmth and I often wear it alone over a long-sleeved top. Women's Wallaroo Naomi hat: I am picky when it comes to hats. I have the styles I like and I tend to stick to those old favourites religiously when I am outdoors. Admittedly, this hat would not have been my first choice. Any criticism I initially had of it is removed when I see pictures of myself in it. It looks lovely, was cool on my head, and saved me from a rainstorm. What can I say? It has won my heart. In terms of packing, it was easily folded up to pack into my luggage and regained its original shape with relative ease - something I can't say about the contents of my hat stand at home. Women's Merrell™ Daria Safari Trail Shoes: As a keen walker, hiker, and runner, putting on a pair of shoes for the first time and walking a fair distance never really happens. These types of shoes are something that need to be worn in gradually to avoid blisters and sore feet at the end of the day. This was not the case with these Merrells. I put them on for a walk on the first day of our iPhone- only safari and they were incredibly comfortable - so much so that I have retired my previous pair of trail shoes. They just don't live up to the Merrell level of comfort. Women's Merrell™ Terran Post Sandals: As with the lace-up walking shoes, I expected blisters from these sandals and I was pleasantly surprised by how these sandals are built for your feet. The snug fit around the toes and the moulding of the sole around the foot makes for a very comfortable shoe indeed and they look and feel better than any standard pair of flip-flops! Women’s Merrell™ Mimix Haze Ballet Pumps: It's hard not to love the styling of these shoes and, everywhere I go, everyone wants a pair. These closed-toe pumps are the perfect middle road between a pair of sandals and a pair of walking shoes - and they are stylish enough to wear to dinner or casually around the pool, with a dress or shorts or with trousers. They are supple yet hardy and their use in diverse settings make them the single pair of shoes you can wear in almost any setting - a great travel shoe. Women's Bolle 473 sunglasses: Sunglasses aren't something I normally leave to chance. There is normally a process of hours involved in selecting the right frames. These Bolle sunglasses break the mould. Not only did it feel like they were as good as they said in terms of protecting my eyes from the sun, they also looked fantastic. Sometimes leaving things to chance is the best thing you can do.